The startup world may never ride the high waves of 2015 but 2017 proved that big ticket funding is not a thing of the past. After a year of drought in 2016, the stars of the Indian startup ecosystem came back to prove they still possess the confidence of the investors. However, the downtrend of 2016 did result in substantial cutback on their valuations. While Flipkart ended its drought with $1.4 billion from Tencent, Microsoft, eBay, and Naspers in April this year at a reduced valuation of $11.6 billion (from $15 billion), Ola raised $404 million from Falcon Capital and Softbank Group a few days later at a reduced valuation of $3 billion (from $4.5 billion). Rising non-performing assets (NPAs), overleveraged large companies and the general unwillingness of banks to lend money has meant small businesses are now finding it next to impossible to raise money. As loan portfolios sour, banks do not want to take the risk of lending to an SME. Coupled with that is the fact that a large number of small businesses have no access to formal sources of finance, are under banked or have little or no credit history. For these businesses, there is no chance of getting a bank loan. It is with this understanding that a troika of entrepreneurs banded together to start Loan Frame. Whenever an SME (Small And Medium-Sized Enterprises) business wants to get business loans, it can get very frustrating because most of the qualities required to get the loan are structured with big businesses in mind. This is understandable because financial institutions would like to plug into developing companies but they do not want to bear a large proportion of the risk that comes with this move. It is, therefore, a common trend that SME businesses in India have limited options when it comes to capital financing. However, this is not only particular to India as developing countries also face these impediments. 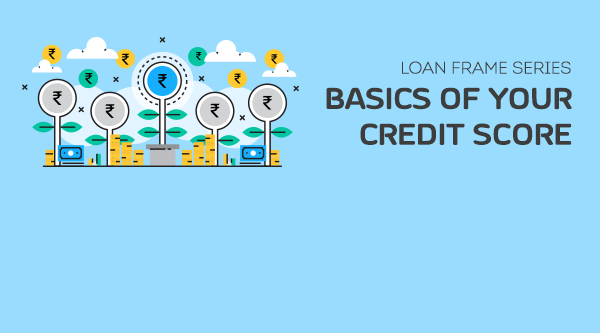 A credit score is a major deciding factor for banks to grant you loans and also to decide the terms and conditions on which the loans are to be given. Banks prefer borrowers with low outstanding balances, long credit history and high credit score. A good credit profile and high credit score are viewed positively by lenders. It also puts the borrowers in a position to bargain for better terms and conditions and draw loans at best available rates. On the other hand, it might get difficult to even get loans with poor credit score, leave aside the question of interest rates. Hence, it can be rightly said, “better the credit score, better the interest rates”.